← When should I pull my Tomato plants? Can you tell that the theme this week is the transition from summer gardening to fall gardening? 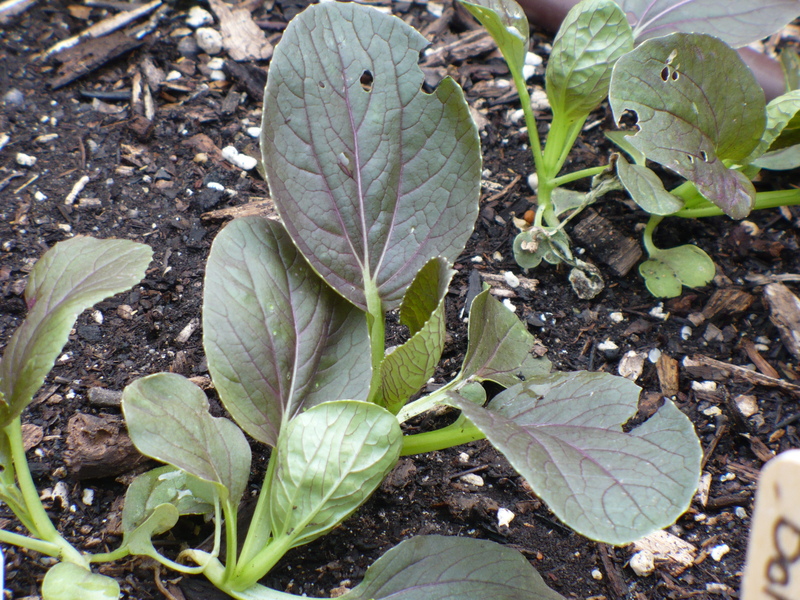 I’ve mentioned several times that we’ve planted some seeds for the fall, and I’m really looking forward to having some nice crisp, cool, fresh lettuce and greens to eat as the weather cools down. I’m definitely sick of tomatoes! I know, I know – it’s rather heretical, but it’s true! I don’t think I’ve shared what all we’ve planted yet. Here’s the low-down on our fall garden plantings. We planted 2 rows of ‘Mei Qing’ Bok Choy, 1 row of ‘Touchstone Gold’ beets, 1 row of ‘Chioggia’ beets, and 2 rows of ‘Purple Rain’ carrots. Those plantings are about 2 weeks old now. On Tuesday, we planted 3 rows of ‘Tyee’ Spinach where the squash used to be. We have 6 rows of Watermelon Radishes, 1 row of purple Kohrabi (‘Kolibri’), 3 rows of Purple Bok Choy, 6 rows of ‘Purple Rain’ carrots, and 6 rows of lettuce and salad mix. 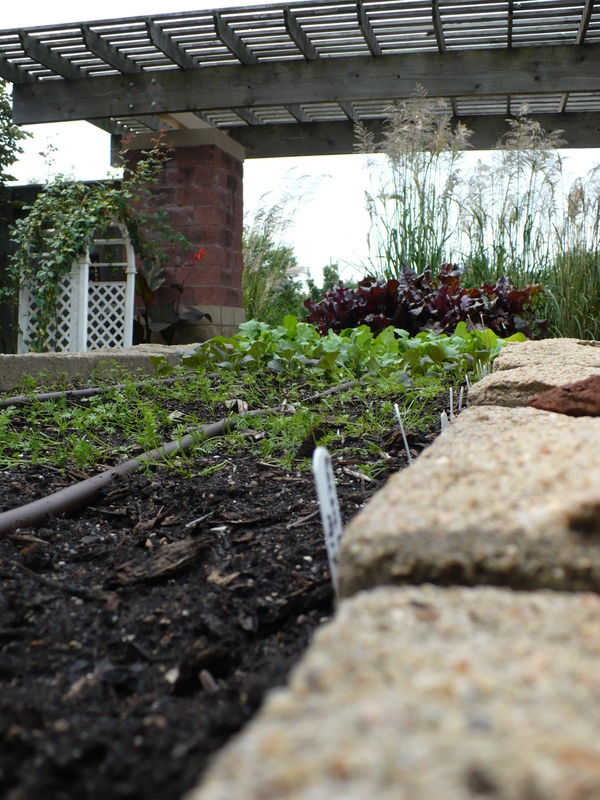 We still have space for about 6-8 more rows of something in the salad garden. We’ll probably plant that area next week or the week after that. Something I thought I should mention about planting seeds for a fall garden is the water requirement. usually when we start planting seeds in the spring, there is lots of moisture, and it is cool enough that the soil doesn’t usually get extremely dry. Planting in August/September is different. Most of these seeds are very small, and the weather is still warm enough to dry out the top of the soil very easily. You can see from the above picture that our drip irrigation system is not getting the top of the soil moist in the center of the bed. It is important to keep the top inch or two of soil evenly moist when the seeds are trying to germinate, so be aware that you may have to hand water once a day. If the soil isn’t evenly moist, you may see spotty germination in those areas. 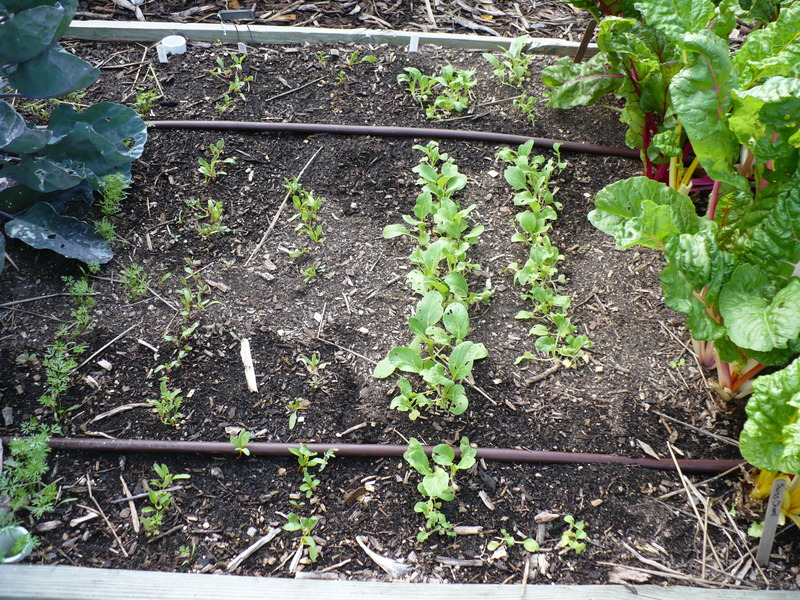 Posted on September 3, 2009, in Around the Garden, Working in the Garden and tagged fall garden, salad greens. Bookmark the permalink. Leave a comment.